Good morning out there Tampa and future Tampa residents! Big Boys Moving and Storage is here once again and this morning we have another great video moving tip of the day! 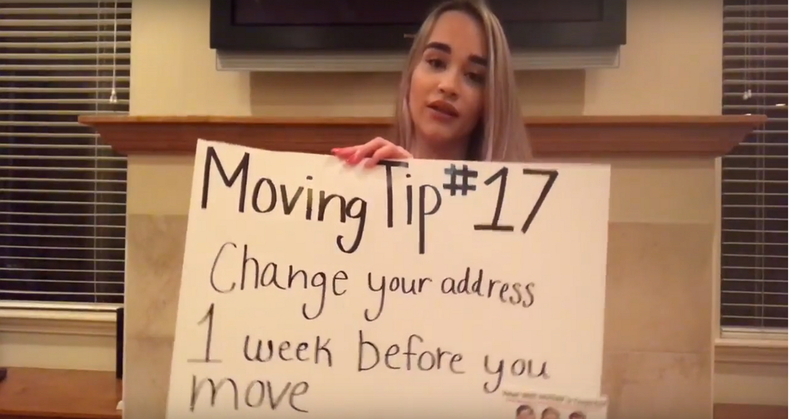 Today’s tip is number eighteen in our video moving tip of the day series video segments. Make sure you watch each one for a smoother moving day! Today’s moving tip is one that will help you to get your moving boxes moved to the correct rooms of your house so that you don’t have to do lifting and carrying. All you have to do is make sure to label your boxes with the room where you want your boxes placed when you’re packing so that your movers know where to place each box in the new house. The more detailed you are when you label your boxes the more information you have available to you as well. For example, if you label the specific contents of each box, you will know where to look if you’re delayed in unpacking and are looking for something specific. You can also label your boxes with numbers so that you know how many boxes each room should have and what order you should unpack your boxes in! Big Boys Moving and Storage is the go-to moving company in Tampa Bay for years, but for the past ten years in a row, Big Boys has been voted the top of the pack! When you hire us to help with your move, we take care of your move with no fuss and take all of the care you would take yourself when moving your belongings. We are the most trusted moving company in Tampa Bay for a reason, let us show you why. Here at Big Boys Moving and Storage, we always have plenty of tips and tricks to make your move go more smoothly! We want to help you experience the perfect move and that means saving you money, saving you time, and getting the job done well.